Beef Noodle Tallerine – An Okie #Recipe! 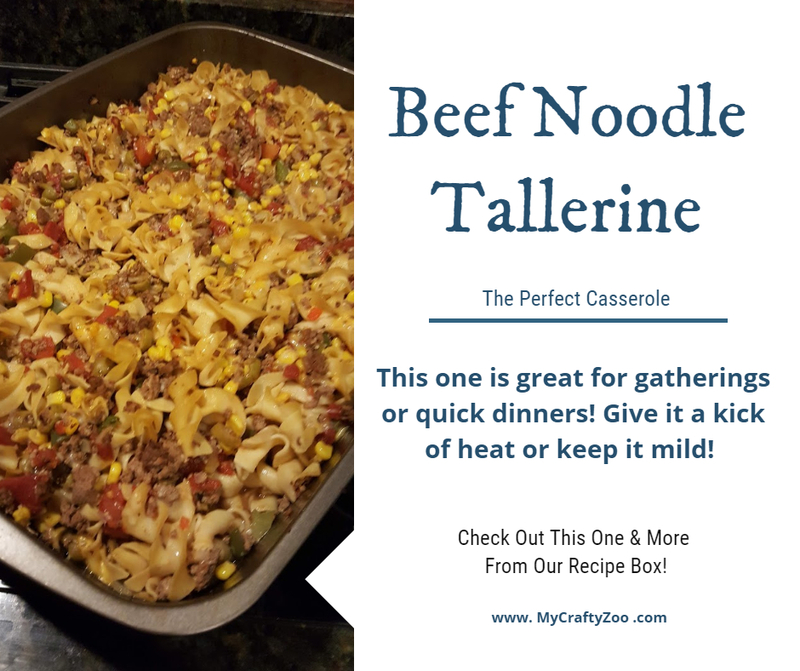 Beef Noodle Tallerine is a delicious casserole! I’ve gotten rave reviews and you will too! Try it out tonight! I have to admit, when I saw this recipe I had no idea what tallerine was. Had to do some homework and managed to learn that it is basically a casserole with beef and noodles. There are tons of variations. Seems to be a basic ‘poor persons’ casserole. The Beef Noodle Tallerine was made for our guys at the Masonic Lodge. I didn’t put much cayenne in it because I was afraid it would be too much heat, probably about an 1/8 of a teaspoon. So, the only complaint I got was that it needed more heat. The guys mixed in Louisiana Hot Sauce and said, with that addition, it was perfect. Feel free to change it up, this is certainly Okie’d up! Add your local favorites to it and take it for a new spin! Just be sure and come back here and let me know about your variation so we can all try it too! Brown the ground beef with the onions, season with salt, pepper and cayenne pepper. Add all ingredients, except olives, and mix in 13 x 9 casserole dish. Garnish the top with olives. * If you don’t have or want to use cayenne pepper, you can use Louisiana Hot Sauce to add some hit so that you don’t have to add it to the entire dish. Be sure and check out our other recipes!